Growing up in the Phoenix area, I took the obligatory field trip to the Desert Botanical Garden in elementary school, but had not been back since. I really have no excuse, since I visit the area 1-2 times a year. After reading numerous posts from bloggers, I finally made it a priority. I invited my family members to come along, and 8 of us enjoyed the garden. The desert garden is all about structure, and this one does not disappoint. Cluster plantings also provided the wow factor. There is also a natural trail, which shows the plants in a less formal setting. I loved this garden! It was a great way to spend the morning, and my membership to The WFC got me in free! A few months ago the front garden contained one large bed, one smaller bed containing pink autumn sage, and a smattering of fruit trees. Although the idea of fruit trees as a complement to the vegetable garden seemed great, the reality turned out quite different. In Austin we don’t get adequate water, so supplemental water is a must. In the summer I was watering each of these trees for nearly an hour each week. With water costs in the summer I found myself paying hundreds of dollars for a few pieces of fruit that I had to battle the squirrels for. This summer I decided to rip out the fruit trees and go with native pollinator plants instead. Initially these plants will need supplemental water to get established, but eventually they could get by with water only in the warmest and driest of conditions. Along with drought conditions, I also had to plant deer-resistant varieties. The bed varies from full sun to shade, which made plant selection both challenging and fun. I spent August and September planning and prepping. The first step was to have the Austin Garden Bloggers over for one of our monthly Go-Gos. In exchange for brunch, these talented gardeners shared a wide variety of creative ideas – many of which I implemented. My prepping included rock borders and hand removal of the grasses. My mother-in-law spent several weekend mornings helping out. Thanks Mom! I left much of the ground cover (frog fruit, horse herb) in place and chose to mulch with crushed live oak leaves. My October weekends were spent shopping and planting, the fun part! Even though I planted all gallon-size pots, it will still take a few years to really fill out. One of my favorite suggestions was from Pam Penick at Digging. She recommended that I break up the large bed with a grass river. 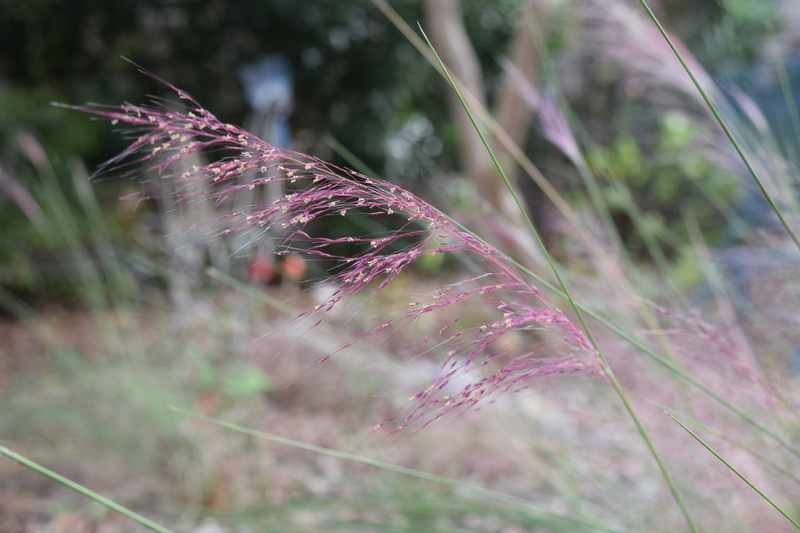 I loved the idea, and went with Mexican Feather Grass. 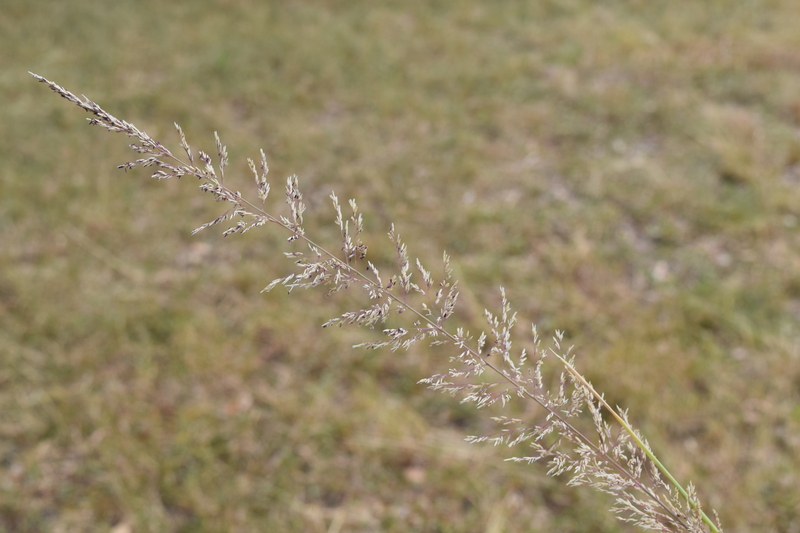 Not only do I love the size and coloring of this grass, but it is also readily available. The river will slowly blend with Ruby Crystal Grass as well. The new beds are a combination of new purchase and garden transplants. Due to the large size of the bed, (20X40) I decided to plant in clusters. Aside from really large plants, I went with 3 or more of each. Aside from a few cold snaps, we have had a very mild winter. Things are starting to bloom ahead of schedule, and I am nearly a month ahead on my spring veggies. Of course, just when you feel that winter is behind you, a cold front moves in. This weekend was pretty chilly, with highs in the 50s/60 and no sunshine to speak of. I covered my tomatoes, hopefully for the last time. I still couldn’t help but stroll through the garden and take pics, even though it didn’t feel at all like spring. This year has been my worst year of winter gardening since I started, just under 10 years ago. Last winter we barely kissed freezing temps, this year we have already hit high teens to low 20s three times. I have row cover which adds 5 degrees, but that just isn’t enough for some plants. I have lost all of the cabbage (napa/red/green), at least half of the broccoli, most of the cauliflower, swiss chard, peas, radishes and the kohlrabi. My carrots have succumbed to caterpillars. The survivors include spinach, kale, collards, romanesca cauliflower, some broccoli, garlic, and brussel sprouts. The broccoli that has been strong enough to fight the extreme cold is now bolting due to the record heat. I have replanted the peas, recently planted onions, and scattered hairy vetch in the place of the vacated plants. The winter so far has rotated from the aforementioned lows to highs in the high 80s. Most years I question why I even attempt a winter garden, this year I really have no answer. My only saving grace is that I planted everything from seed, so the money I spent was less than in recent years. Wyoming started with a trip to Jackson Hole. We stopped at this touristy town for some lunch, and another beer flight at Snake River Brewing. Great tasting beer, especially the red, which was hibiscus based. We roamed through town for the afternoon and did a little shopping. The highlight was these cool antler arches around the town square. One afternoon was enough. I definitely couldn’t see staying for an extended amount of time here. From here we headed north to the Grand Tetons. This breathtaking mountain range doesn’t get the attention of Yellowstone, but deserves ever bit as much. We stopped numerous times to take photos. I read about an old barn which is one of the most famous Grand Teton photo ops. Luckily, being the off season, we only ran into a few other enthusiasts. We also saw our first Bison. We weren’t the only ones excited about them. Soon after our first Bison we ran into a bit of snow. We weren’t sure if we would see any more snow on the trip, so Eric stopped to make a tiny snowman. The melting snow gave way to awesome waterfalls! Just like you’d imagine, two Bison greeted us as we entered Yellowstone. At the time we didn’t realize how prevalent Bison on the roadways would be in the next few days. We got a little too close for comfort on the last shot. As we passed by the last bison started moving a bit aggressively towards the car behind us. We stayed for two nights in Yellowstone, our only spot on our journey where we rested for more than one night. We were lucky enough to stay at the historic Old Faithful Inn. It is considered the largest log structure in the world. It is a magical place to stay, but we should have listened to the reviews and not eaten in the main restaurant. Trust me, don’t do it! We splurged and got one of the newer rooms. There are a whole section of rooms with communal showers and bathrooms, that wasn’t gonna fly. We watched Old Faithful erupt on our first night. The length of time between eruptions varies and it quickly approached total darkness before we were finally rewarded for our patience. We started our full day in Yellowstone with an early drive out to Lamar Valley. We decided to drive straight out and then slowly make our way back. We were hoping to get animals grazing in the early daylight hours. Our plan worked and we saw plenty of Pronghorn, Elk, Bison, Mule Deer and even a Bear on our way back. Our run-in with the bear was very unexpected. As you travel through Yellowstone, you’ll find that when people are pulled over there is usually something to see. As were returning from Lamar Valley there were about 10-20 cars pulled over to the side of the road. We decided to follow suit. When we pulled into the nearest open spot, we nearly ran over a bear! The sight of the bear within 50 feet threw us for a loop. The obvious answer to the question “What do we do?” is “take pictures” — from in the car of course. Our next stop was the hot springs. These are a must see. You know you’ve arrived as soon as you step out of your car, as the smell of sulphur wafts through the air. It’s not unbearable, unless you are overly sensitive to smell. The colors vary based on the amount and type of minerals in the specific hot spring. They also vary from fairly clear to milky. The hot springs are also very accessible. The wooden pathways weave in between the landscape, getting right in the heart of the action. Hit a traffic jam on our way back to the hotel! 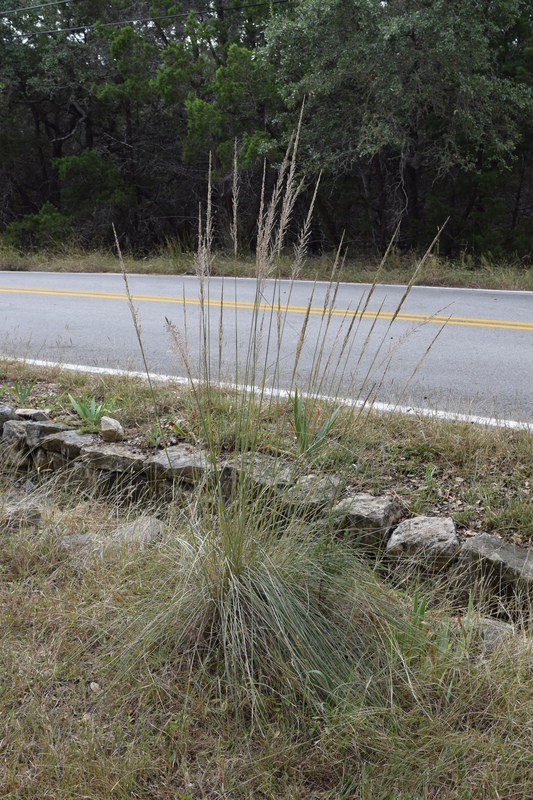 In Austin, Gulf Muhly gets all the love, and for good reason. The waves of fuchsia seed heads are our best attempt at fall color. They are planted in groupings all around town, and you can’t help but take notice. 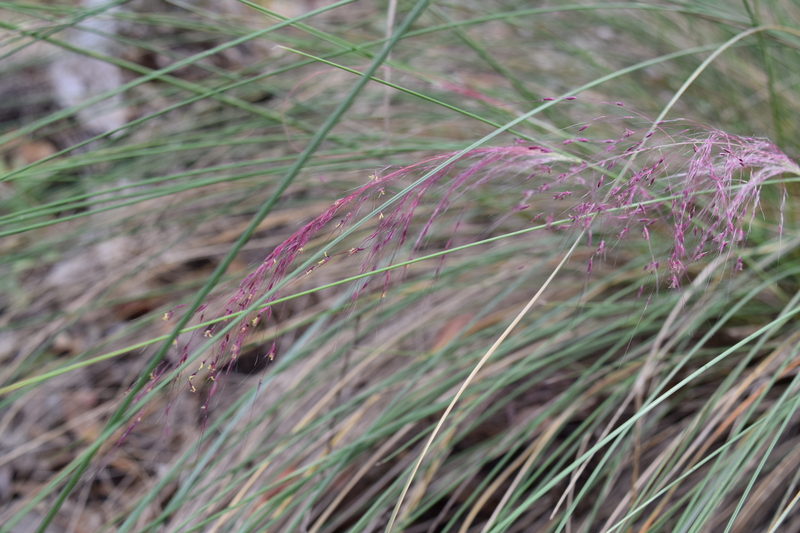 A few years ago, I purchased several Gulf Muhlys, and picked up a Big Muhly at the same time. 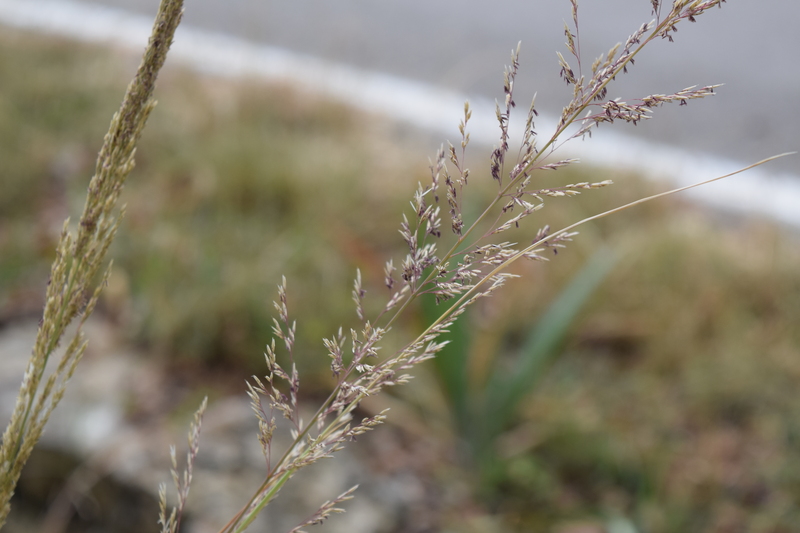 This is an absolutely stunning grass as well, and shouldn’t be forgotten for its more popular sibling.